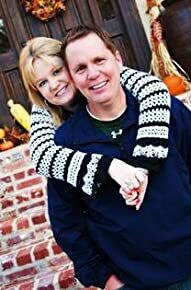 I can remember the tragic events that occurred on December 9,2007 when a gunman invaded the campus of New Life Church in Colorado Springs, Colorado killing two teenagers and injuring many other people of the congregation. I asked myself why would anybody do such a terrible thing and how can you get over such a horrible event? Reading Pastor Boyd's book Fear No Evil: A Test of Faith, a Courageous Church, and an Unfailing God helped answer those questions for me. In the years following the senseless and tragic shooting on the campus of New Life Church. Senior Pastor Brady Boyd has received countless questions from the faith-filled and faithless alike. As the nation watched the suffering congregation reel from the gunman's rampage and, later, steady their stance once more, the one question on everyone's mind was, 'How has New Life weathered such a horrible storm so well?' In Fear No Evil , Boyd answers with eloquence and grace, paving a path toward hope to anyone walking through the 'valley of the shadow of death' and is tempted to camp out there. This story of tragedy and triumph will release you from life's common traps of doubt and despair. Whether you are a parent who has lost a child, a single mom who feels overwhelmed, a middle-aged man starting over after bankruptcy, a student trying to make sense of life and the world at large, or simply someone who wonders where God is in the midst of your suffering, the considerations and counsel offered here will serve as a lifeline for your soul. Pastor Boyd wrote a book that was full of love, sadness, hope, and tragedy. In reading the account of the shooting, I became very upset and I asked my self "Who would do such a bad thing?" Pastor Boyd's candor and use of scripture throughout the book has taught me that God is always there to assist you in your journey. He opened up his heart to us and showed us his true emotions and how he was able to overcome them. I am not a spiritual person and only attend mass on holidays, but I have learned a lot from reading the book. In the beginning of each chapter, Pastor Boyd included quotes from famous people. My favorite quote was by Thelma Wells "God does not always heal us instantly the way we think. He is not a jack-in-the-box God. But God is walking with me through this." Boy is that so true because we live in a society where we want things instantly and that is not how God works. I highly recommend this inspirational book to everyone. Would you like to win a copy of the book? Follow Pastor Boyd on twitter. Contest ends May 7th at 11:59pm EST. Winner will be picked by Random.org. The winner will be sent an email and has 48hrs to respond or another winner will be announced. 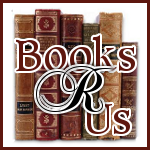 I follow Books R Us on Twitter and Facebook. Pastor Boyd's twitter link doesn't seem to work right now. 4.Follow Pastor Boyd on twitter. I tried to follow the Pastor but his page was gone. Sometimes you need to read something inspiring! Thanks for the giveaway!. I am a GFC follower and email subscriber.